As world explorers go, Marco Polo is probably the most curious and exciting. The exploits of Marco Polo are featured in a new Netflix Originals mini series. The next season will air in 2016. Marco Polo traveled in medieval times to explore the magical Xanadu, summer palace of the Mongol leader Kublai Khan (son of Ghengis Khan). Polo brought back exotic spices, jade, silk and strange beasts (elephants) to the western world. His travels ushered in the Silk Road and Spice Road trade systems. Marco Polo wrote about his travels in "Il Milione" or "The Travels of Marco Polo." Here are free printable Marco Polo lessons on the exploration, Kublai Khan, Xanadu and the Mongol (Mongolian) Empire. 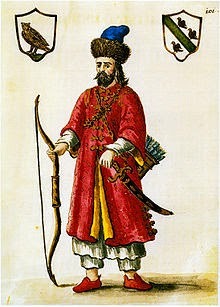 Start at Silk Road by reading the biography of Marco Polo. Students could character map listing information about Marco Polo. Next acquaint yourself with the travels of Marco Polo. Here's a free printable map of the Marco Polo expedition, which became the Silk Road.You could expand it and attach it to a cheap roll up window shade to make a classroom map of the Silk Road. Have students color and label the map and make icons to symbols elements of the Marco Polo story. This site describes Kublai Khan and the rise of the Mongol Empire under Ghengis Khan. Students could create a Facebook profile Ghengis or Kublai Khan to put their lives into modern perspective. Cal Tech has comprehensive information on Marco Polo and Kublai Khan. Use this as a travelogue of Xanadu, the Mongol Empire and the Silk Road. Mr. Donn offers free printable Marco Polo lessons and activities on the Mongol Empire and Kublai Khan, geared for lower elementary to middle school students. Lesson Tutor has free printable Marco Polo lessons. Click on the checkmarks beside each lesson to open the activities on Kublai Khan, Xanadu and the travels in the Mongol Empire.